Gold strip reinforced binding edge for extra strength. Gold strip reinforced binding edge for extra strength. Rip Proof™ reinforced tabs feature bold black printing on front and back. 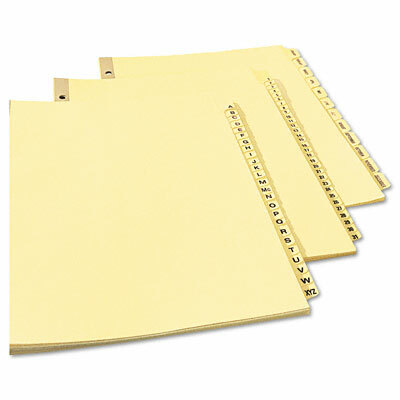 Three-hole punched for use in standard ring binders.